Weekend in D.C. for $50? Plan a trip to DC! I saw a family of 5 pull off DC for $500. Having visited when I was young I always wanted to return. 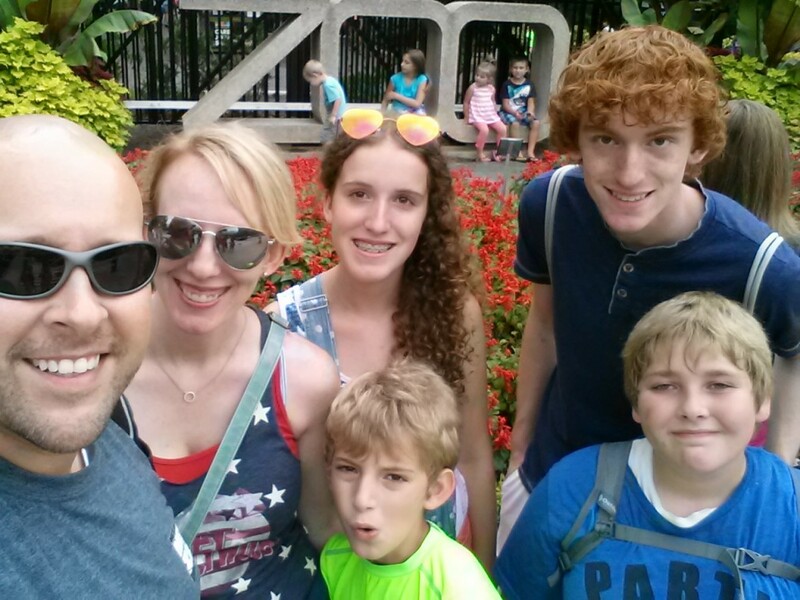 This past summer my bonus children (I don’t have stepchildren) came to West Virginia from Texas, which presented the perfect opportunity for a great family road trip! 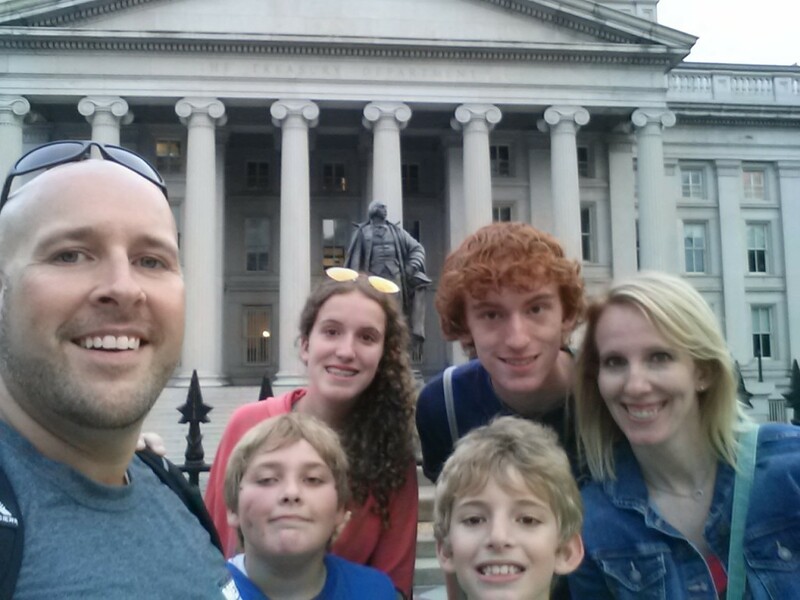 Our frugal living, coupled with my competitive nature, provoked me to pull off our DC trip, with more people, in two cars, and for less. We packed a cooler of food, bottled water, stayed at the Americana Hotel for one night. We chose this hotel was because they had free: parking, breakfast, and wifi. I don’t have much luck with hotel wifi, and though we were in a room directly over the front desk, we were not able to connect to theirs. 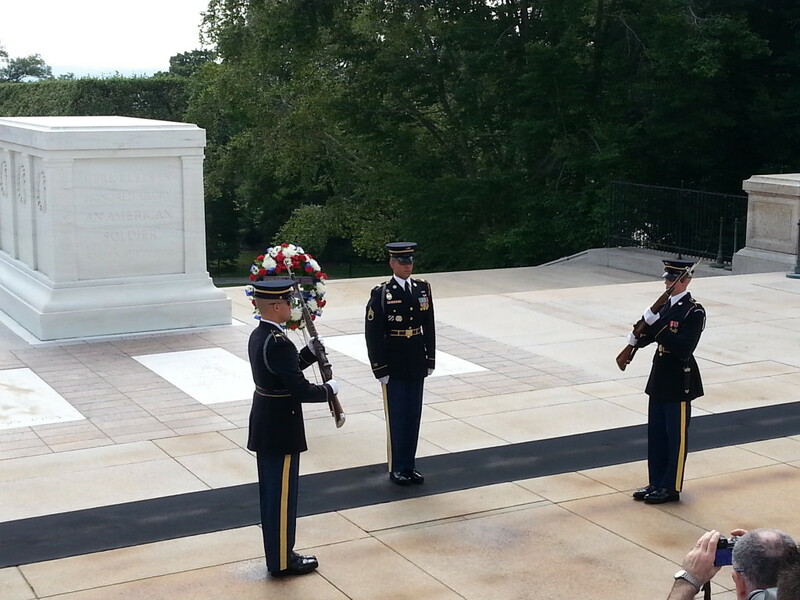 Transportation: We left just before 6:00 a.m. on a Saturday morning and drove straight to Arlington National Cemetery. They advertise parking on their website as $1.75 for the first 3 hours but we paid $5.25 a car and we were there less than 2 hours. 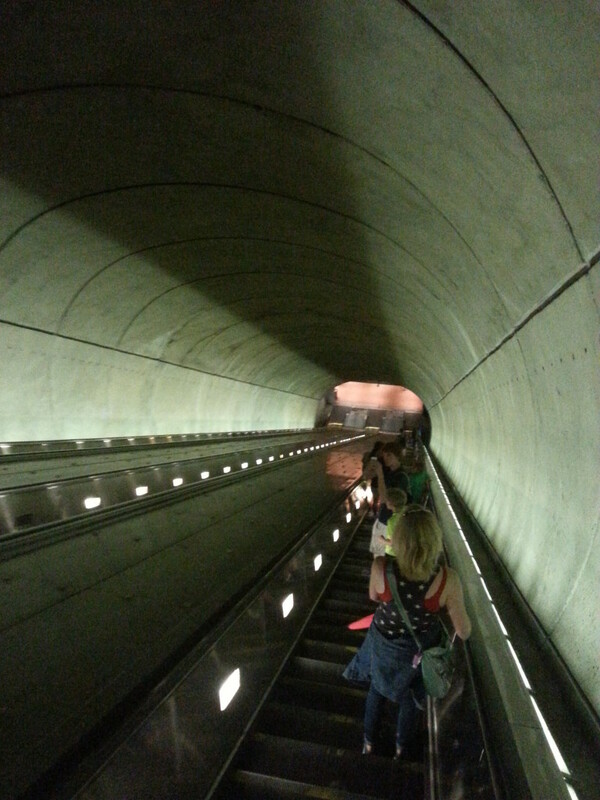 After we checked into the hotel, we took the subway to the national zoo. We spent less than $12 a person on the Metrorail over two days (there’s a little extra remaining on each card). Buy a metro card (SmarTrip® Card)! You purchase a $10 rechargeable card that gives you $8 in fares. Using the card reduces each trip fare $1. How did we spend $12? On the second day I checked the balances of the cards vs. our planned stops and discovered we were short. I created an online account before we left the hotel, registered all 6 cards and loaded $2 on each card, even though we only needed $1.40-ish to get back to the hotel. Food: The first day we ate out of the cooler for breakfast and lunch, and dinner was at the Italian Pizza Kitchen (~$35). We had the hotel’s breakfast the following day (wasn’t all that great, but it was free), ate from a hotdog cart near the Smithsonian National Air and Space Museum for lunch (~$20), and dinner was at Ruby Tuesday in Germantown, MD on the return trip back (~$50). Ruby Tuesday and ice cream at the zoo ($28) was our biggest splurge. Activities: All the monuments, museums, and historical landmarks are FREE, HOWEVER if you desire to visit the Pentagon or the White House, book early. The Pentagon takes reservations no earlier than 90 days in advance and no less than 13 days prior to your visit. The White House can be reserved up to six months in advance and no less than 21 days prior to your visit. This place was fun for all of us. 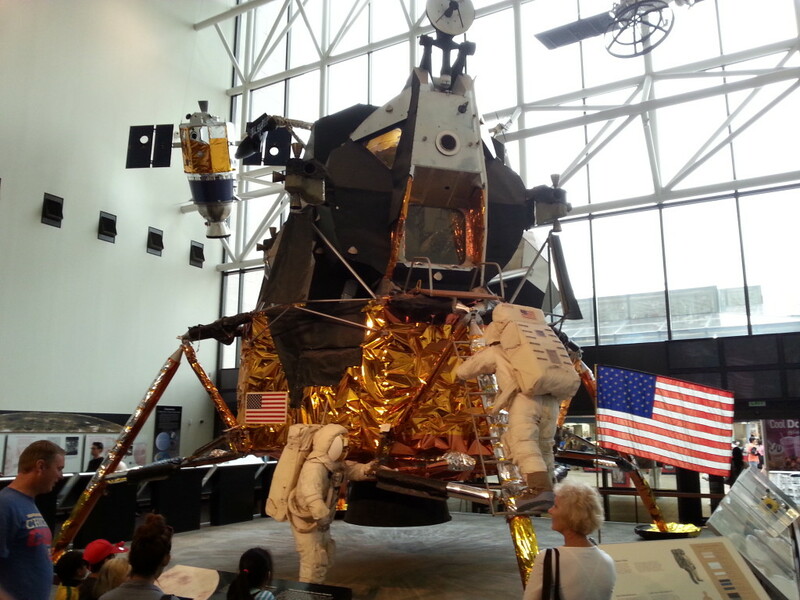 There are many tour groups you can book, but you’ll have fun exploring and figuring it out by yourself. You’re going to do a lot of walking, so ladies, leave your stilettos at home. Before you wander around aimlessly, know that there are public service workers everywhere willing help. Actually we were surprised how friendly and helpful everyone was that we encountered. Make sure to keep a subway schedule and tourist map on you, but know that neither is to scale. This flustered Jerry’s analytical mind until Dalton and Rebecca swooped in to save the day. Remember to be mindful of the battery life on your cell phones as access to outlets are always a challenge. Things we learned: 1. 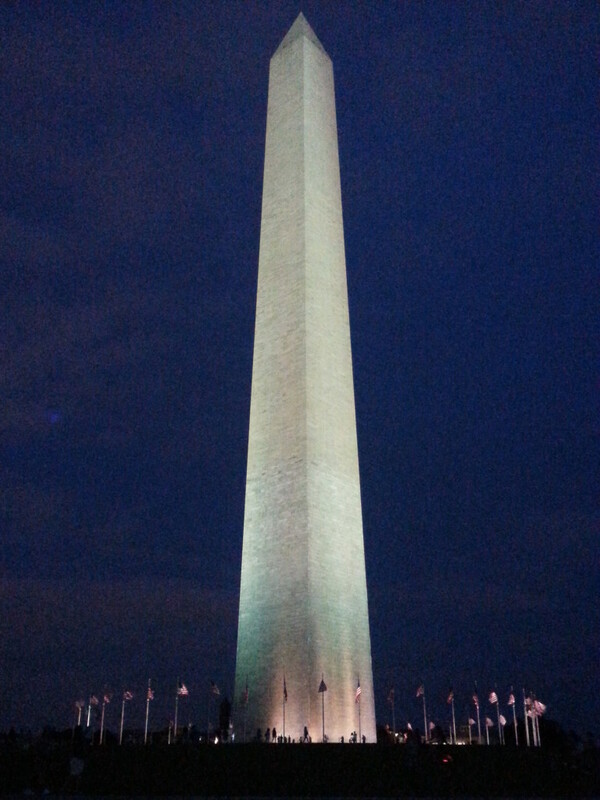 The monuments are awesome to view at night. We originally planned to see them Sunday morning, but we all had ADD and decided to walk the National Mall at the last minute. The crowds were small and the park rangers were not as strict, but the following day we were completely exhausted. 2. We could have saved the price of parking at Arlington by checking into the hotel first and riding the rail (it was on the way to the zoo). 3. We could have reduced our metro usage to less than $10 a person had we planned better. I’m not sure if it’s legal, but we saw one family buy one metro card and share it among each family member. I’m also not sure how it tracked the fares, but if it worked, we could have done the same thing and saved an additional $10 by foregoing the additional card purchases. 4. On a return trip, look at using a bike. Everywhere we walked, people on bicycles were everywhere! If we don’t take our own bikes (you can take yours on the subway), I’m certainly considering Capital BikeShare. As of the publishing of this article, you can take as many trips as you’d like during your membership period ($7 a day, $15 for three days, etc.) and the first 30 minutes of each trip are free! After the first 30 minutes, you’re charged an additional fee based on the rates on their website. Hotel……………….$96 Transportation….$72 Parking……………$10.50 (we took two cars) Food……………….$130 (roughly, not including tips) Activities………….FREE Total……………….$308.50 for SIX people!! 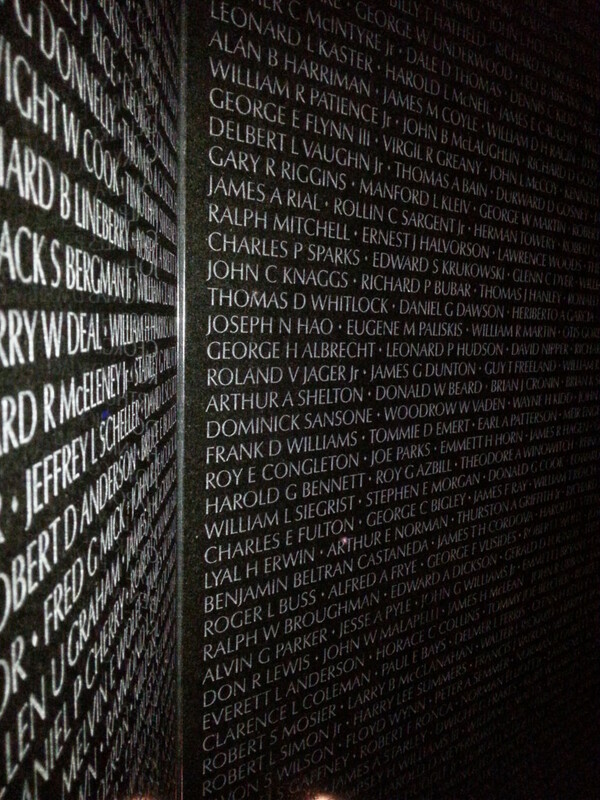 Have you done something similar in D.C.? We’d love for you to share your tips! 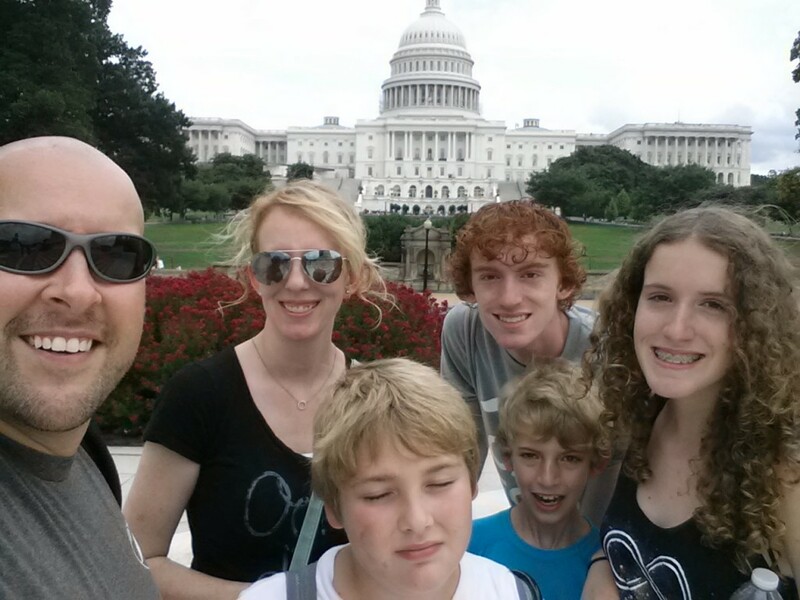 We just returned from a DC two-night stay. Our hotel offered a free shuttle within one mile in the morning. Not great but it can definitely be leveraged. Same hotel also offered free bikes, first come, first served. Looking at your actual spend, it kind of resembles mine; biggest expense is usually food. We think food is usually worth the investment!